On April 14th, at the National Building Museum, I will be modeling in the Fashion for Paws® (F4P) Annual Spring Runway Show benefiting the Washington Humane Society (WHS) with my rescue dog, Jake. 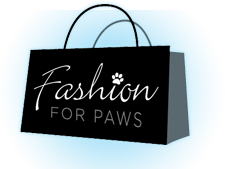 Fashion for Paws® (F4P) began in 2007 with the first spring Runway Show. In just its first 5 years, the annual Fashion for Paws® spring Runway Show has been a smashing success, selling more than 1700 tickets each year and raising more than $1.5 million dollars for WHS and animals. This year’s show will feature 60 illustrious personalities as the models, who raise $5000 for the Washington Humane Society to participate, with many escorting fashionably dressed dogs down the runway. Designer doggie couture will be ready-to-wag spring 2012 organized by Wagtime. Women’s and men’s ready-to-wear spring 2012 apparel will be provided exclusively by Tysons Galleria, home to the world’s most luxurious retailers. When I was asked to participate in the event, I was elated because it is a natural extension of the work I have done as a volunteer for Lucky Dog Animal Rescue. Several years ago I began volunteering for Lucky Dog Animal Rescue, an all-volunteer, non-profit animal rescue organization dedicated to saving the lives of homeless animals and educating the community on responsible pet ownership. I have dedicated my time working as a foster parent and someone who conducts home visits of prospective adopters. I also participate in “transports” where I pickup 8-9 dogs in Fredericksburg, VA and transport them to the next pickup spot in Fairfax, VA. These transports are weekend-long rescue missions to get dogs from as far away as South Carolina who have wound up in high kill shelters transported all the way up to as far as Maine in one weekend. 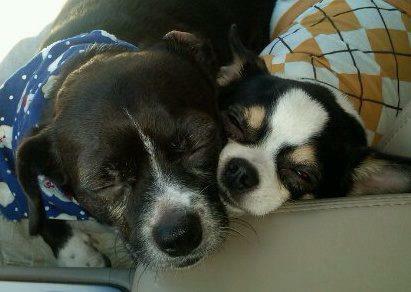 They are often just a few days away from being euthanized when they are rescued. They are transported either directly to a loving home or to a rescue organization that will work tirelessly to find a forever home for them. Through my volunteer work with Lucky Dog I met my great loves: Jake (a 15 pound Chug-Chihuahau/Pug mix) and Edward (a 7 pound Chihuahua). They are super sweet, loving, unconditionally loyal and have a special way of saying thank you each and every day as if they know that they were rescued from near death several years ago. Spring Accessories for a Cause…Paws! Come Shop with Us and Help Save Animals! We invite you to spend the afternoon with us to raise funds for Fashion for Paws. Come see all the latest spring designs from Stella & Dot and Beijo. Learn some amazing new beauty techniques and enjoy a consultation with a fashion stylist to help you put your best look forward this spring. Amazing door prizes. Raffle tickets are $5/each. Purchase 5 and get the 6th free. All raffle ticket sales will go to Fashion for Paws. Please help Jake and me make a difference in our community by sponsoring Us in the Fashion for Paws® Runway Show. If you cannot attend our event tomorrow, but love animals as much as I do and want to show your support, check out our fundraising page and make your donation today! If you want more information about the event tomorrow or Fashion for Paws, please email me at denise@decorbydenise.com.